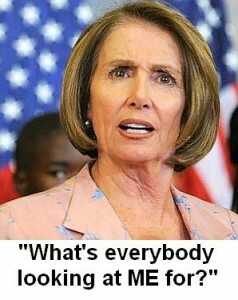 Can Pelosi really do this? 1/18/19 - I realize that elected Democrats often do not feel obliged to know the U.S. Constitution, a document that was crafted by a bunch of old white men, as they so often remind us. But, House Speaker Nancy Pelosi, the 3rd most powerful person in US government ought to know it forwards and back, right? I am referring specifically to Article 2 section 3, USC and Speaker Pelosi uninviting President Trump to give his State of the Union address before Congress. This is the same woman who thought she was entitled to commandeer a USAF jet for her personal flights home. Anywho…He, meaning the president, has the absolute right to convene the House or Senate to address them on important issues. 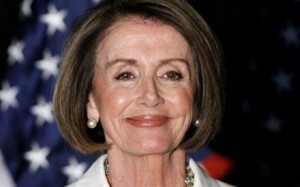 Mrs. Pelosi, DOES NOT have the authority to deny the President his speech. He can enter that establishment to address its members anytime and he can even call representatives back from vacation to listen. In the latter case, rounding up the members and returning them to the House is the duty of the Sergeant at Arms. And the president can make that happen! I believe what Pelosi did was stupid and possibly impeachable, because it was in defiance to rules laid out in the Constitution. It was certainly an insult to the President and worse, an insult to the American people who still believe in our Constitution. This entry was posted in Constitution & The Law and tagged article 2 section 3, Pelosi v. Trump, US constitution. Bookmark the permalink. TheDonald’s cancellation of Peloosi’s junket was a classic move. Her return to the Speakership seems to be accompanied with even more delusions of grandeur. And she claimed lately that she was equal in power to the president. Riiiiiiiight. North Carolina has invited TheDonald to give the SOTU speech in their House chamber. He could also just send a letter to Clowngress, or he could make the speech on the white house steps in front of a crowd of Veterans. You can bet the farm that TheDonald will take a golden opportunity to rip a party and their leadership for favoring Illegals over regular citizens – and he’ll be absolutely correct! Pelosi was a joke, now I think she dangerous. I can’t believe the level she has sunk too just damage the president. It’s got to be a historic low for any party leader in our history to treat a president this way. It is actually you who are misinformed about the constitution in this instance. For the first half of our country’s history, the president did not even address Congress in person, instead sending a letter to Congress. I mean really, the state of the union right now is a mess. –The president is forcing a shutdown because he refuses to sign legislation passed by bipartisan efforts in Congress. –He’s doing this because he insists on building a wasteful government project that the majority of Americans and even the majority of congressional Republicans don’t support. –He keeps waffling on whether he’ll declare a “national emergency” to build the wall or not, which is enough to prove that there is, by definition, no national emergency. –All of this is happening as the investigation into his connections with Russia gets more serious every week, his family is being implicated, more of his lies during the campaign are being exposed, his own longtime lawyer has turned on him, and his current lawyer is letting the cat out of the bag in every single interview he mistakenly agrees to give. If I were Trump, I’d be thanking the Lord that I didn’t have to address the American public on every network for an hour to try and spin all this.